To my utmost chagrin, there is nothing spectacular about my hair. On a good day (cough, rarely), it's clean, bouncy, shiny, and depending on how I style it, swinging with either silk pillowcase–induced waves (these are my favorite!) or smooth and sleek strands. As a child, I started out with platinum and fluffy hair, and then it morphed to dishwater and stringy, to brassy and curly (around middle school), to still brassy but also fried (high school), before finally settling into my favorite, least revolting phase right around my freshman year of college: bright buttery blonde with soft and natural waves. Of course, I haven't gotten there alone. I've been able to work with some of the top colorists in the business since landing here at Byrdie as an assistant editor, gleaning some of their best tips and tricks for gaining (and maintaining!) a healthy head of hair. I swear by both Ritual's Multivitamins ($30) and Hum Nutrition's Hair Sweet Hair Gummies ($25), have laid off the heat styling, slashed my color appointments roughly in half, and, of course, cultivated a holy-grail collection of hair products. Now, for years, and even still a few months ago, I relied on a blow-dryer and flat iron daily to make my hair what I personally deemed as presentable. It's sad because naturally, when it's healthy, my hair actually has some pretty bends and wave—a texture I had perfected back in those golden days of college (pre–bleach apocalypse) and that required minimal heat styling and upkeep. So in mourning, I decided to give my hair the ultimate detox—putting in place the aforementioned TLC moves in an effort to regain my soft, healthy, compliment-worthy, natural texture back. And roughly five months later, it's finally worked. Unless I have some kind of special occasion warranting more polish and effort, I've been getting into the easy-does-it habit of simply washing my hair at night, spraying an assortment of leave-ins, administering a few quick scrunches, and then falling asleep with it splayed up fan-like across my silk pillowcase. (I've also found leaving it just a wee bit damp is key.) Then when I wake up, I have a malleable, wavy texture—my natural, just a bit enhanced—which only requires a few finishing touches before I head out the door. So since I finally feel I've mastered the natural (aka no-heat-required) styling of my fine, kind-of-curly texture, I thought I'd share each and every product that's helped me along the way. Keep scrolling for 21 products I rotate, love, and have been using ceaselessly this year to enhance and perfect my sometimes-wavy, sometimes-curly, damage-prone strands. 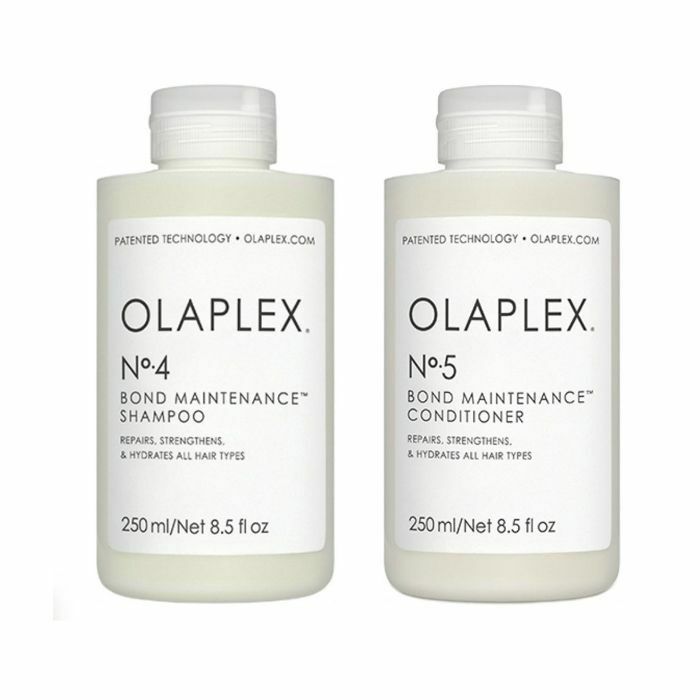 I'm a longtime fan of Olaplex's signature No.3 take-home treatment, and the brand's new shampoo-and-conditioning duo does exactly what my high expectations hoped it would: effortlessly cleanses, keeps breakage at bay, enhances softness and shine, and leaves strands light and buoyant. To keep my natural texture at its full potential (aka sans built-up product residue and inevitable environmental pollutants), a once- or twice-weekly cleanse with a clarifying and detoxifying shampoo is key. This pair from Kenra not only smells intoxicatingly good, but it also has high-quality ingredients like activated charcoal and precious diamond dust. I'm obsessed. To be honest, this is my most-used shampoo and conditioner. 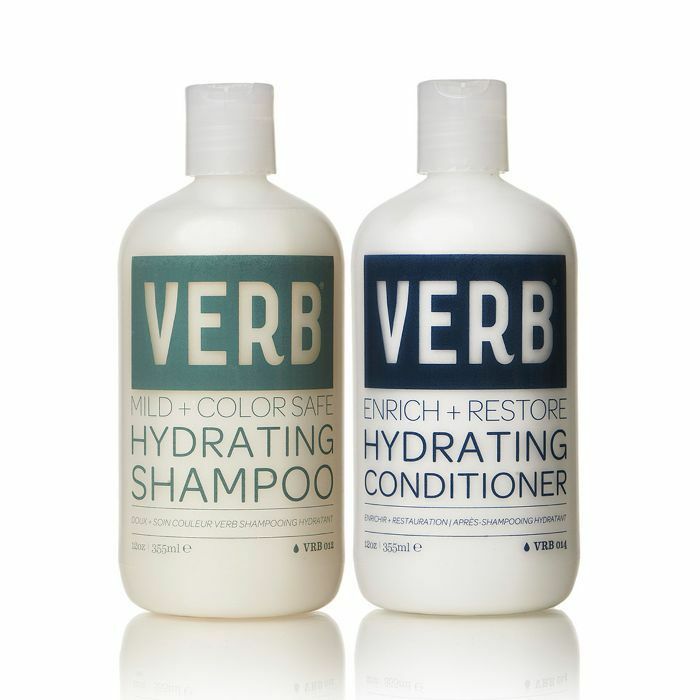 When my hair is feeling particularly parched, the Hydrating line from Verb is my go-to (it also makes a great mask!). 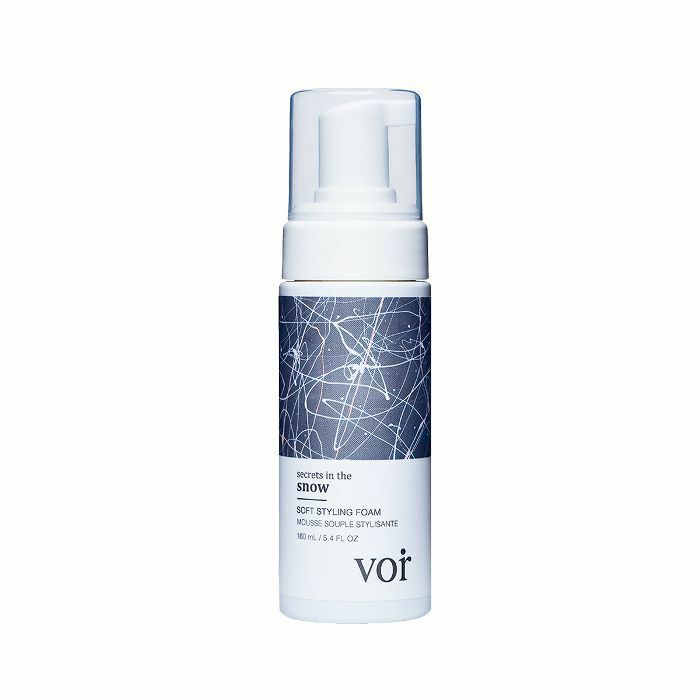 It's the only moisture-specific formula I've ever loved because it does exactly what it says it will: hydrates without leaving my fine strands lank, heavy, and void of body. Because I'm blonde (artificially), a once-in-awhile dose of purple shampoo is needed to stave off inevitable brassiness. (Although, I swear T3's Source Showerhead, $150, is an absolute game changer!) I've toyed with almost every purple formula there is, and more often than not, I'm left unimpressed. Thus, I come back to this five-star pick from R+Co again and again. The pearlescent, light lavender color is so subtle you could use it daily without running the risk of turning your hair gray, silver, or purple. It's a classic for a reason. 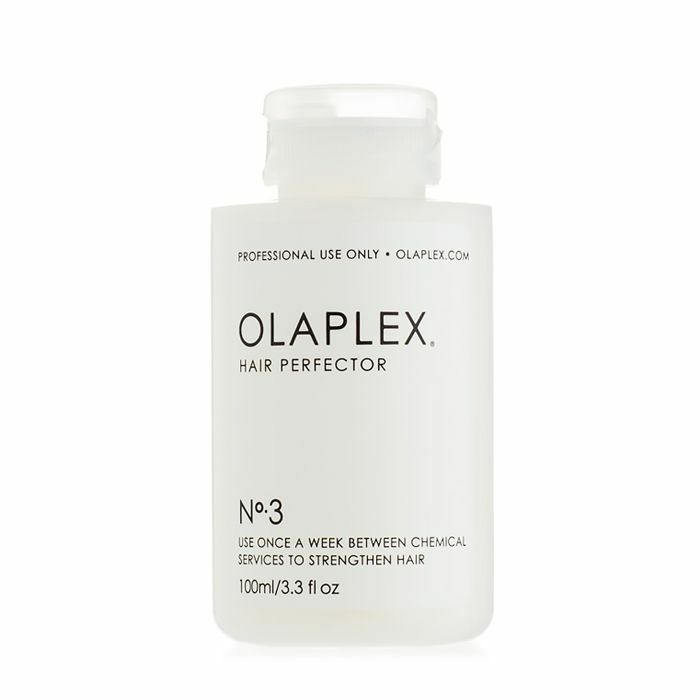 Once (when I'm good) or twice (when I'm bad) every week, I rinse my dirty hair, comb this bond-enhancing elixir thoroughly through my still-wet strands, and let it marinate for at least an hour (although, I'm known for working an "Olaplex bun" at the office every so often). Then, later on, I just rinse, shampoo, and condition as I normally would, and I swear my hair is fuller for it. 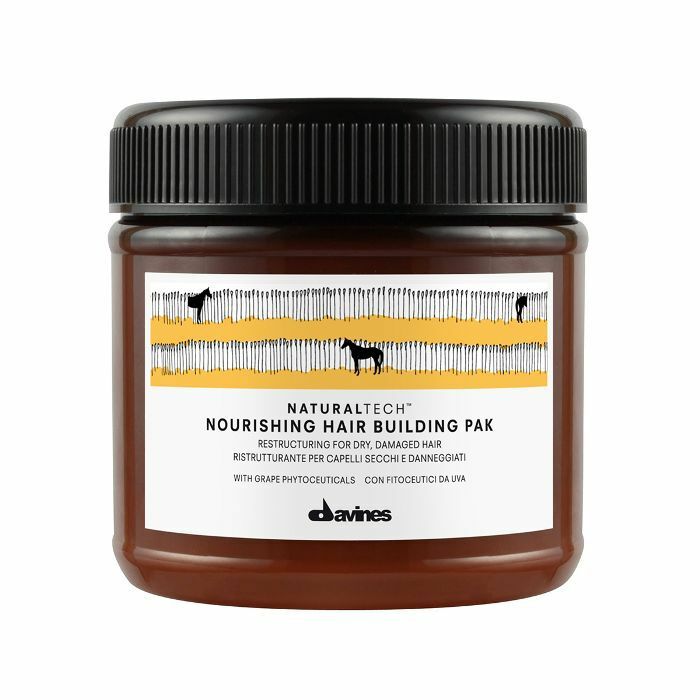 For truly tuckered tresses, this rebuilding mask from Davines is a godsend. (I especially love it a couple washes post–highlight appointment.) Fortified with helpful ingredients like jojoba, keratin, and wheat protein (among others), it breathes new life into damaged hair. Just make sure not to use it too often—like maybe once a month—as it's potent stuff and filled with protein. I usually apply a generous dollop to damp hair post-shampoo, let it sit for 10 minutes, and then rinse thoroughly. Brand-new and spectacular, this is one of my most recent (and most beloved) hair product finds. 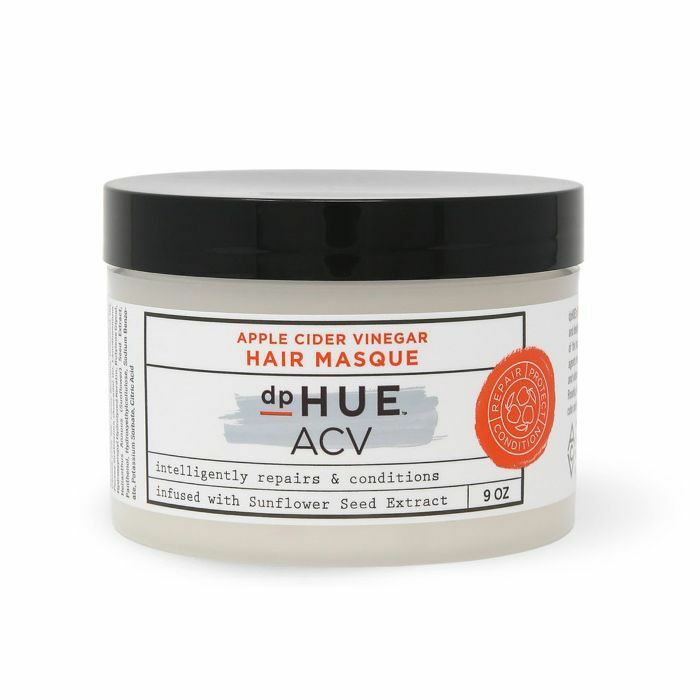 Following in the footsteps of the brand's cult-classic ACV rinse, this nourishing hair masque boasts a short and sweet ingredient list. With ACV and rose-hip, avocado, and coconut oils as a few of its most notable MVPs, it's perfect for smothering damp hair with as-needed abandon. I don't remember the last time I didn't have this in my hair. 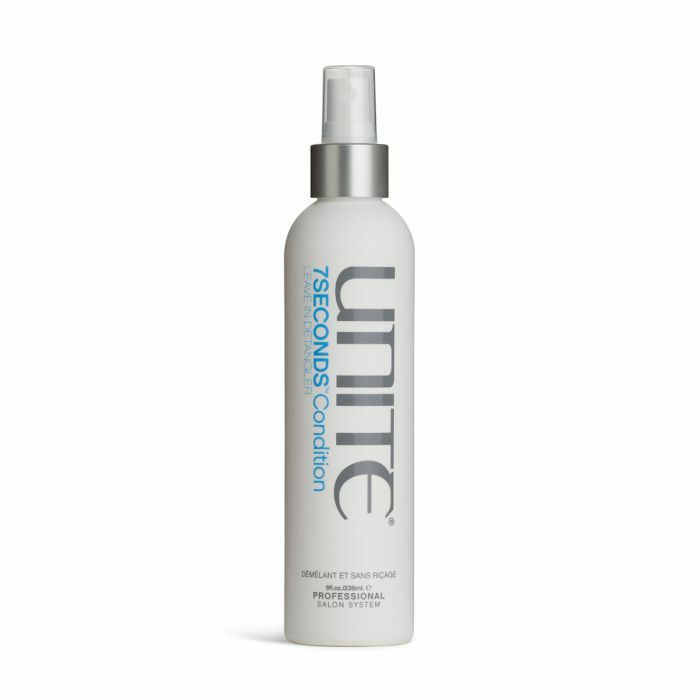 No matter how many I try, I never love anything more than this detangler/leave-in/heat-protecting hybrid spray from Unite. I'm addicted. My damp, breakage-prone hair craves it. And if/when I run out, I go into a tailspin of panic. Personally, I value keeping as much hair on my head as physically possible while detangling, and this top-notch formula does just that. 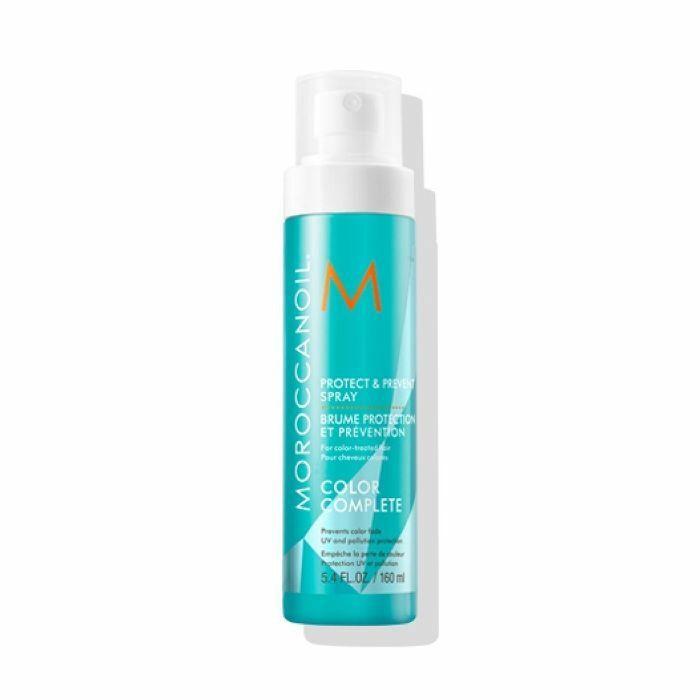 That being said, and when I need an extra-strong dose of environmental protection, this new Moroccanoil spray comes in at a very close second. Celebrity colorist Lorri Goddard introduced me to it (so you know it's good), it has the quintessential Moroccanoil smell (which I've always had a thing for), it helps condition and detangle, and most importantly (especially if you're a blonde like me), it acts as a shield against environmental stressors that can lead to brassiness and unwanted tinges to color-treated hair. I've been alternating it with Unite as a leave-in treatment pre-bedtime when my hair is still ever so slightly damp. 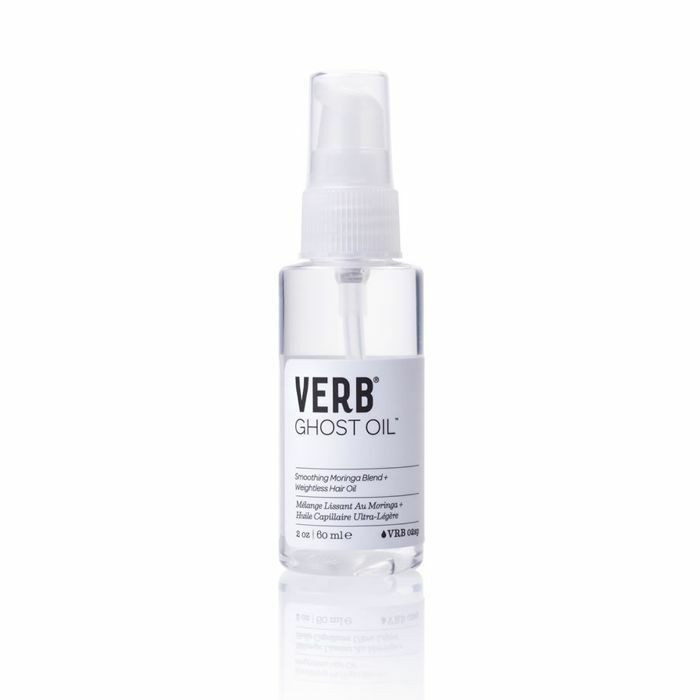 Not only is this clear, ultra-light oil from Verb perfect for my finer texture, but it's also composed of hair-healthy ingredients like moringa seed oil (to detangle and smooth), bamboo extract (to strengthen and hydrate), vitamin F (to revive and fortify), and hydrolyzed soy protein (to keep moisture levels intact). It's the first thing I apply after getting out of the shower when my hair is still wet. 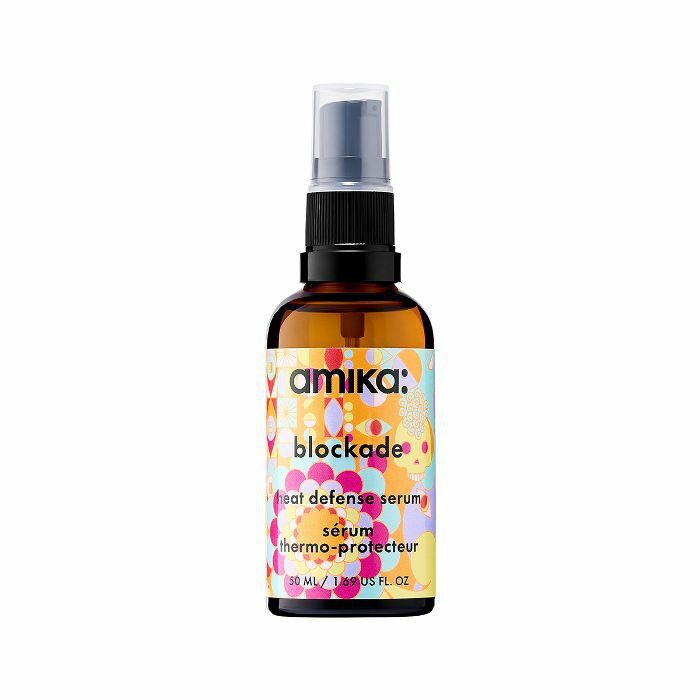 I also love this oil-and-serum hybrid from Amika. It's multipurpose, so I switch up how I use it: sometimes on my ends when my hair is still damp as a last little touch and sometimes on my dry lengths if my strands are feeling dehydrated. My hair literally drinks it up, and it's almost impossible to overdose. Plus, on the rare occasion I do heat-style, it boasts awesome heat-protection benefits. 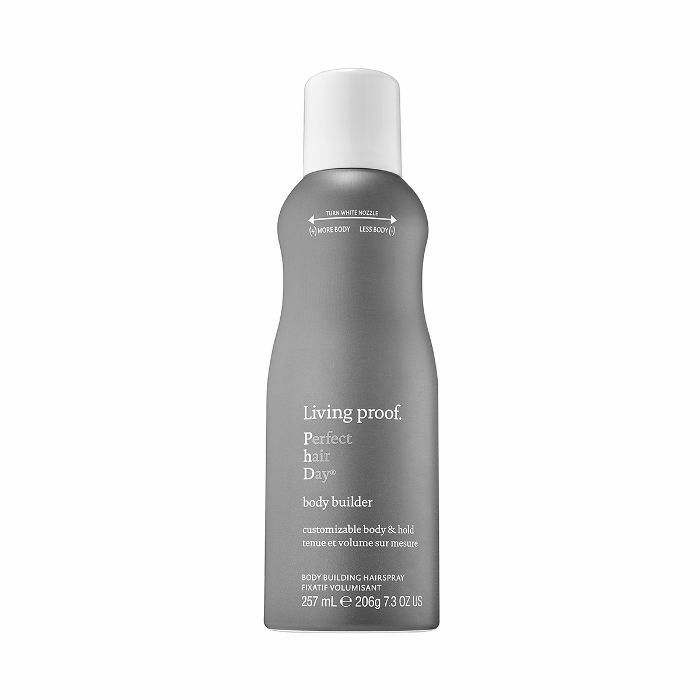 This has been one of the most crucial products in this year's journey toward healthier hair. 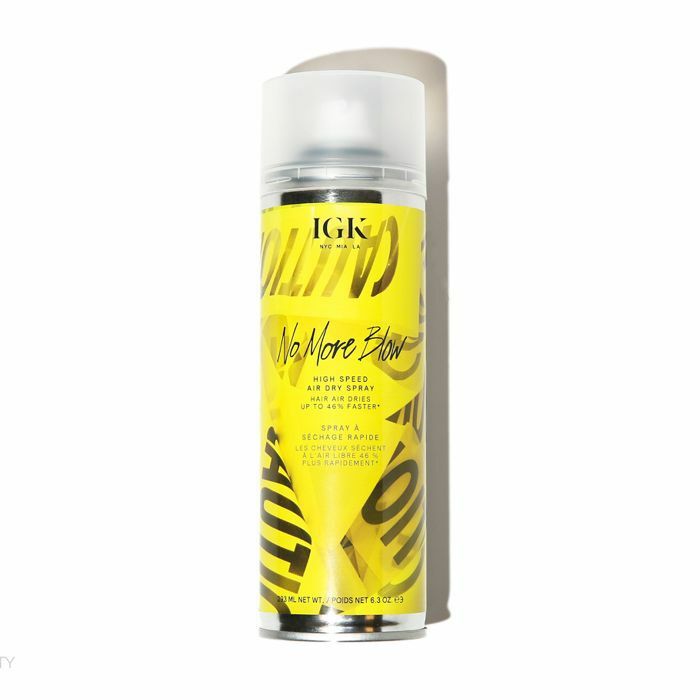 Basically, with just a few thorough sprays and a quick comb-through, it shortens my air-drying time significantly, enhances my wave, and imparts a shimmering gleam once my strands have dried. (I scrunch it into my ends for that added kick of wave encouragement.) I love that it never feels sticky or leaves behind a trace of residue. 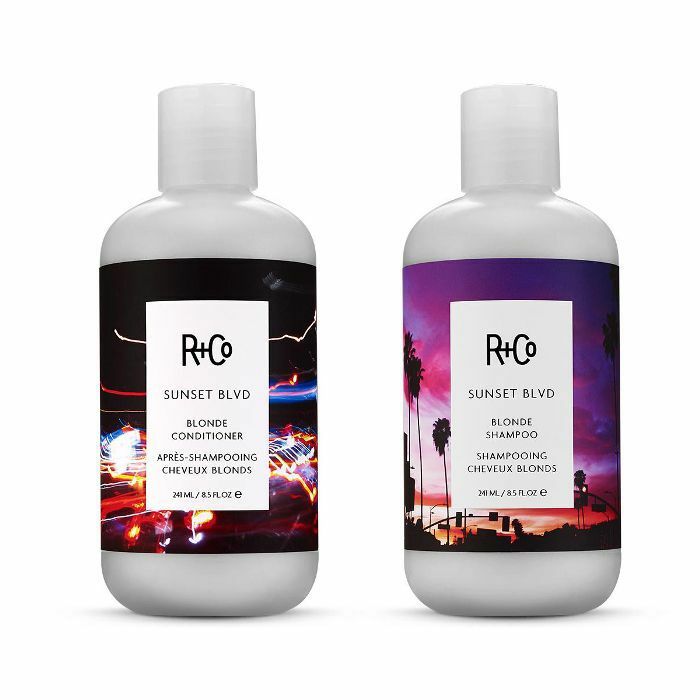 This Toronto-based haircare line just launched in the United States and just so happens to have one of the only styling foams my finicky hair has ever cooperated with. 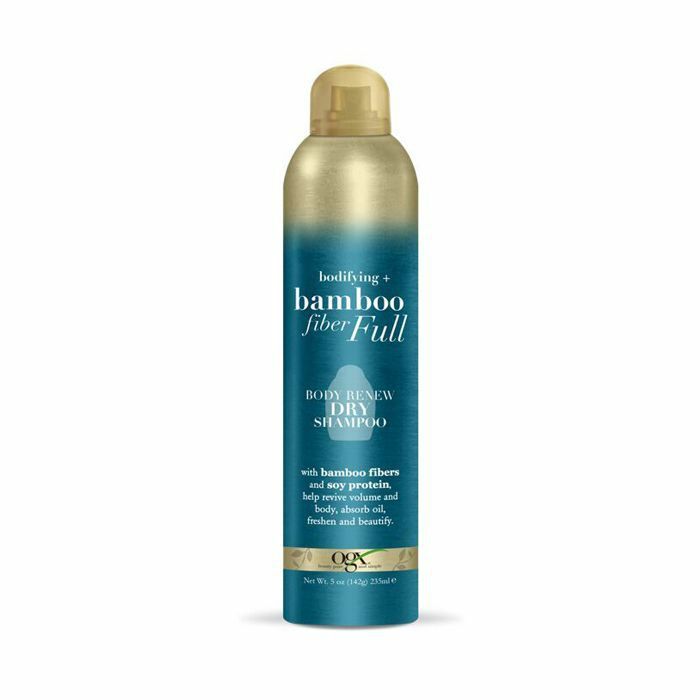 It smells great, it's stick-free, and it improves my fine texture with thickening yet health-promoting bamboo extract and marula oils. On days when I wash my hair in the morning, I comb this through, scrunch, and go. Once I wake up with my natural wave, I typically like to add a boost of dry shampoo at my roots (I'll get to my favorites in a second) and a touch of dry texturizer at the ends. 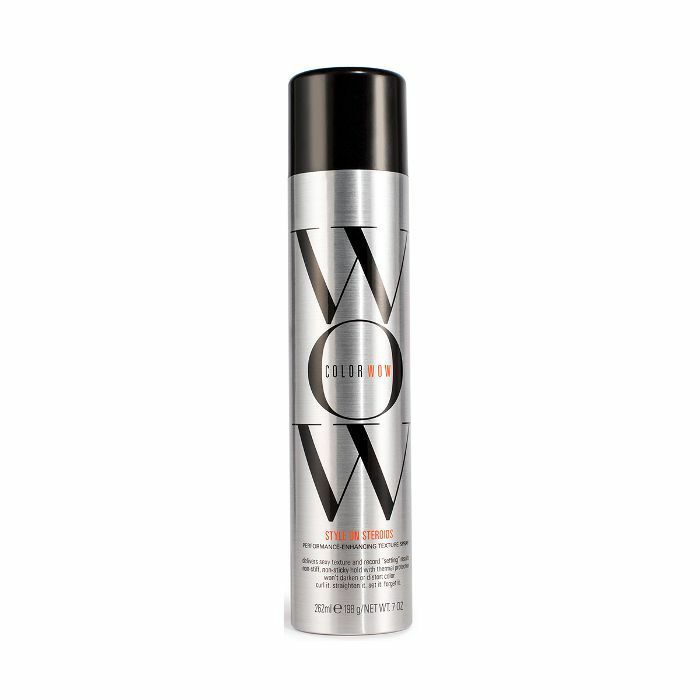 I just discovered this fine spray from Color Wow and love that it's lightweight, boasts heat protection (if I feel like adding some bends later on with a wand), and ultimately creates a no-crunch, voluminous result. Yeah, I was skeptical about spraying down my hair with champagne too—until I tried it. This wave- and bend-promoting elixir is a game changer and one of the only formulas I trust for long-lasting, health-improving, wave-transforming betterment. Plus, in addition to its bubbling signature ingredient, it's anchored by other luxe stuff like white truffle extract, hydrolyzed pea protein, ceramides, keratin, and resveratrol. As I said, I like to add a light dusting of dry shampoo even when my hair is relatively clean. (Just for a little va-va-voom, you know what I mean?) 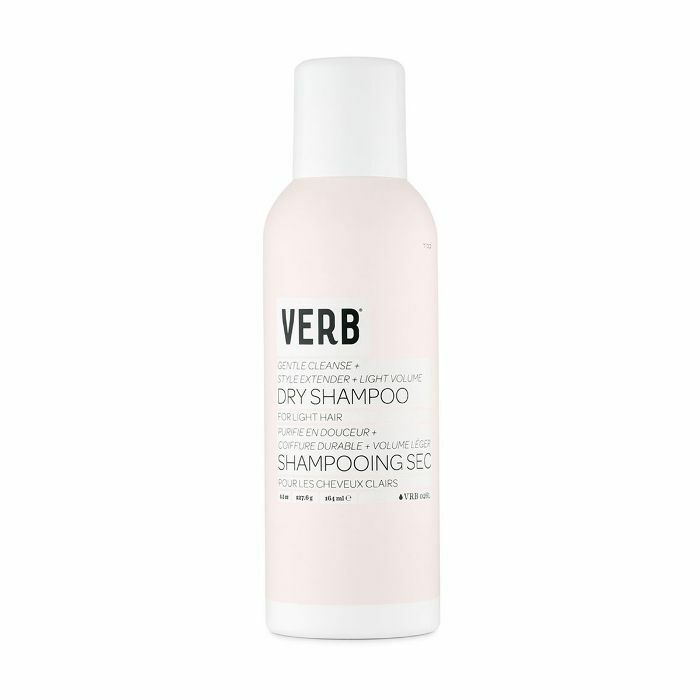 I'm obsessed with this one from Verb and use the light version (there is also a dark one for brunettes) on my roots. Not only does it sop up any threatening oil, but it also diffuses the look of my natural color if I've been going too long between color appointments, which is always. I've tried a lot of dry shampoos in my life, but this is by far one of the best. Not only is it lightweight, invisible, and divinely scented (a co-worker actually stopped me in the bathroom to ask what it was), but it boasts long-term scalp and strand benefits as well. 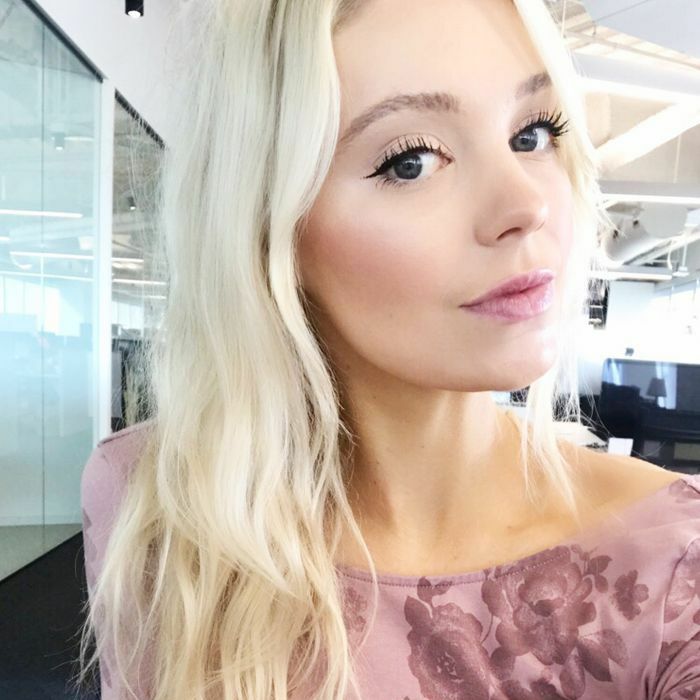 It's one of the few formulas I've tried that doesn't make my roots feel itchy and cakey with residue, and since it's infused with the brand's trademark Alpha Keratin 60ku (which mirrors the actual keratin in human hair, skin, and nails), it strategically adheres to damage for ultimate repair. 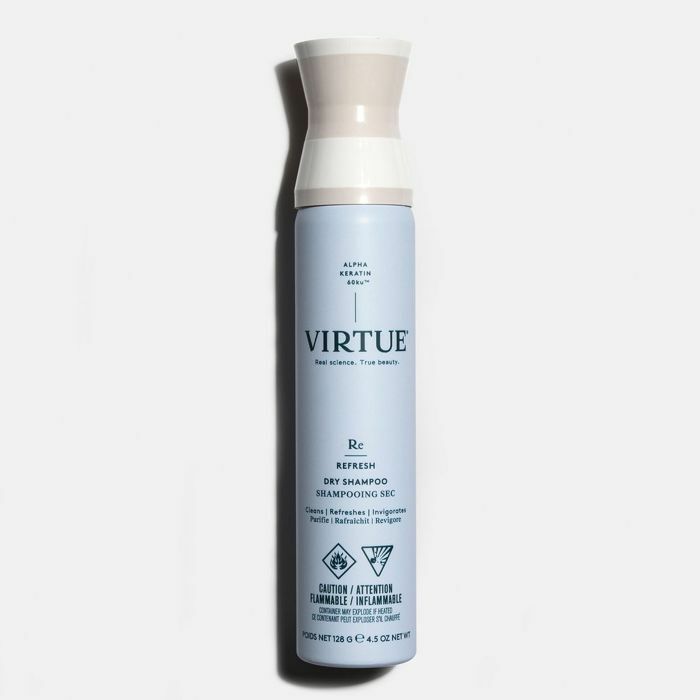 I only just discovered this body-building dry shampoo two weeks ago (by way of a fellow beauty editor's bathroom—thanks, Kaitlyn! ), and I simply cannot get enough. It smells amazing, and it instantly beefs up limp strands. In fact, I'm actually guilty of using it on my roots and my ends—even after a blowout—because A) why not? and B) it just delivers that last little touch of je ne sais quoi. Seriously, what was life before this? It's designed with plant fibers and plant collagen, and it's less than $10. Okay, so I know the whole point of this article was to outline the products I use and love to embrace my natural curl, but here I am. Sometimes when I want to add a little bit of definition, or if something really weird went down while I was sleeping and I'm left with a not-so-cute bedhead look, this pearl-shaped wand from Nume swoops on in to save the day. 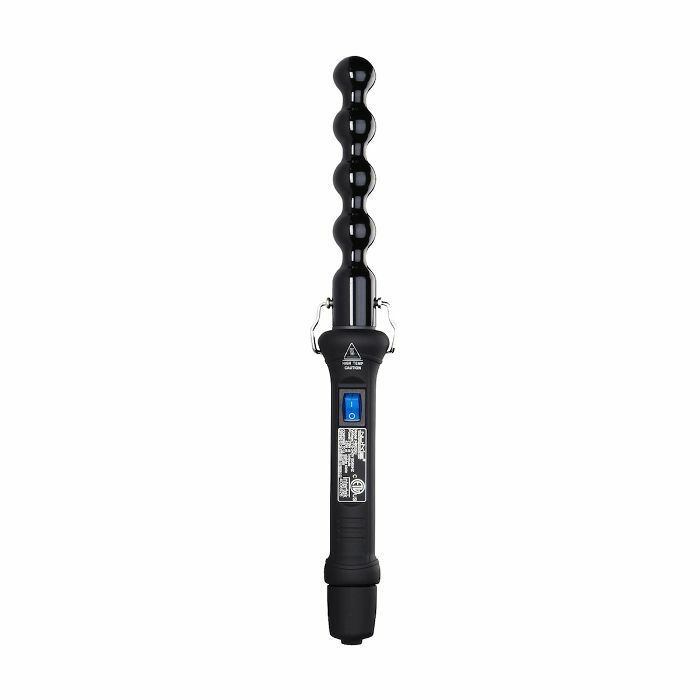 As far as the abyss-like world of curling wands go, this is one of the best. Last but not least, my favorite silk scrunchies from Slip. 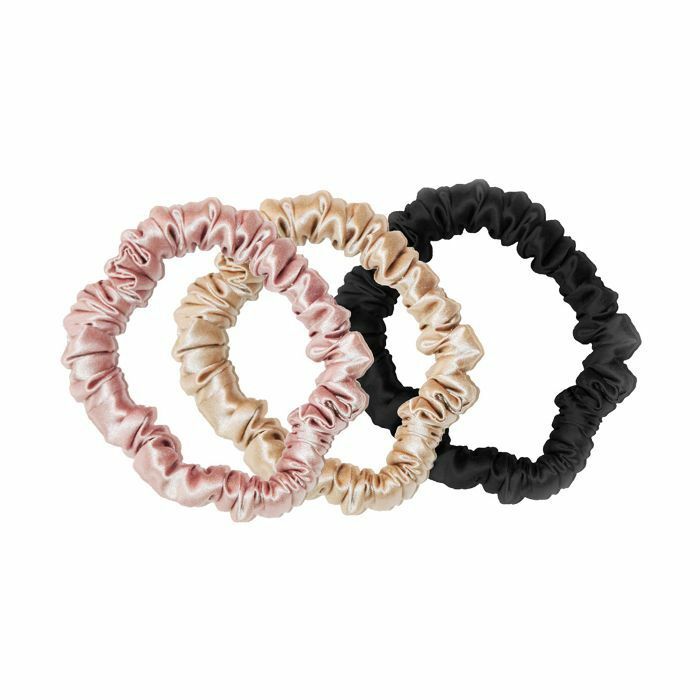 They're great for preserving my waves throughout a sweaty workout (I'll twist my hair up into a topknot) or overnight when I pull my strands into a low braid. No dent, no damage, and who doesn't want to wear a silk scrunchie? Since my hair is on the finer side of the spectrum, I like these ones which are a daintier version of the Slip's original fluffier ones. Next up: Check out all the best haircare products we tried last month.